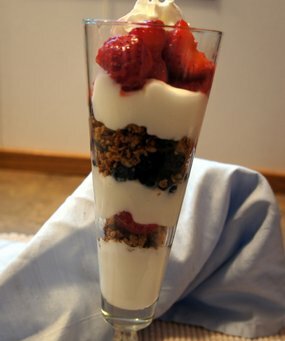 Creamy yogurt layered with crunchy granola and layers of fruit makes a delicious breakfast. Or top it off with some whipped cream and a raspberry for a sweet dessert. Make with any flavor yogurt you prefer and layer it with any fruits you want. 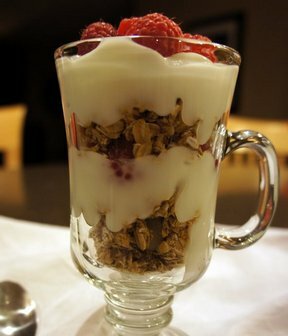 Alternating layers, place yogurt, granola and fruit in a glass. 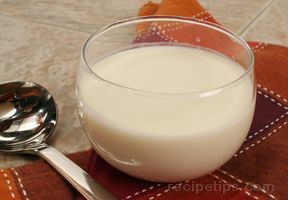 "I always use Greek Vanilla yogurt since there is more protein and make my own homemade granola. 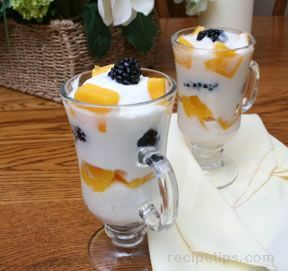 Parfaits are the perfect start to a busy day."